She started her journey on March 1st, hoping to arrive in Gallatin, Missouri by the end of April. She travels with her two horses Khrim and Mandi. Traveling on average, 20 to 25 miles a day. 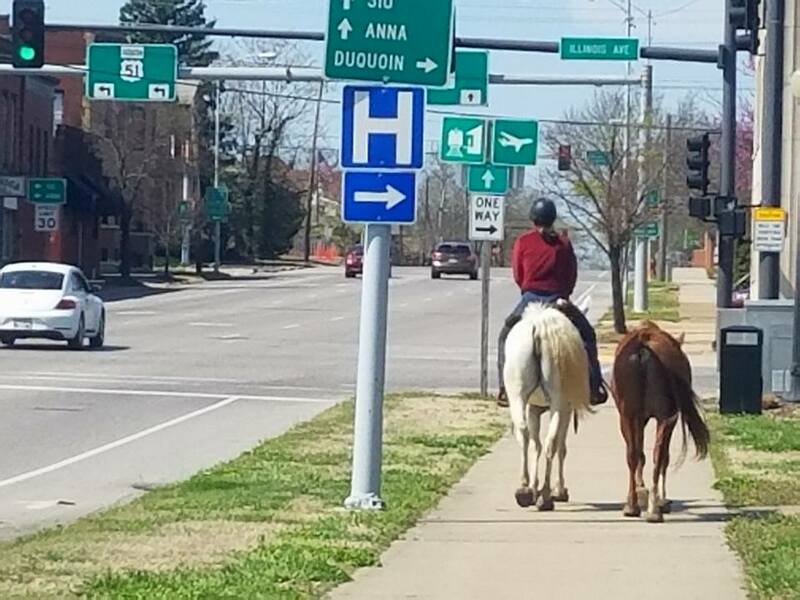 Outside of a parade, you don't normally see a horse riding down Main Street these days, but you may have seen one Friday. 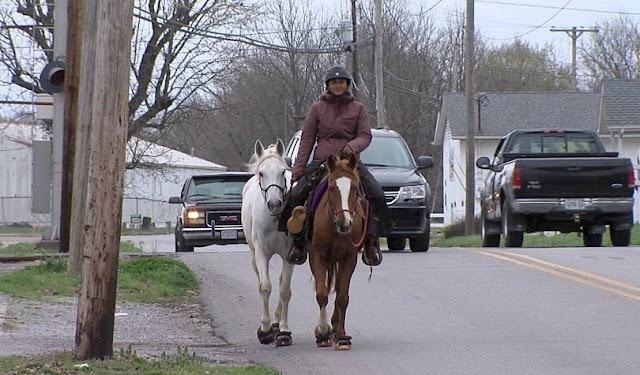 Michele Arana is traveling across southern Illinois on her way from South Carolina to northwest Missouri. A self-described environmentalist, she wants to bring awareness to the importance of clean water, a healthy environment, and rights for indigenous people. "I wanted to do my part and try to raise awareness and do something about both Native American rights and preserving our environment," explained Arana. The idea to make the journey first came about with the Standing Rock protests of the Dakota Access Pipeline. "We only have a limited amount of natural resources," said Arana. "And if we keep taking and taking, at some point, there's going to be nothing left to take." "I didn't realize how exhausting it was going to be, riding seven days a week," explained Arana. "Braving the elements. 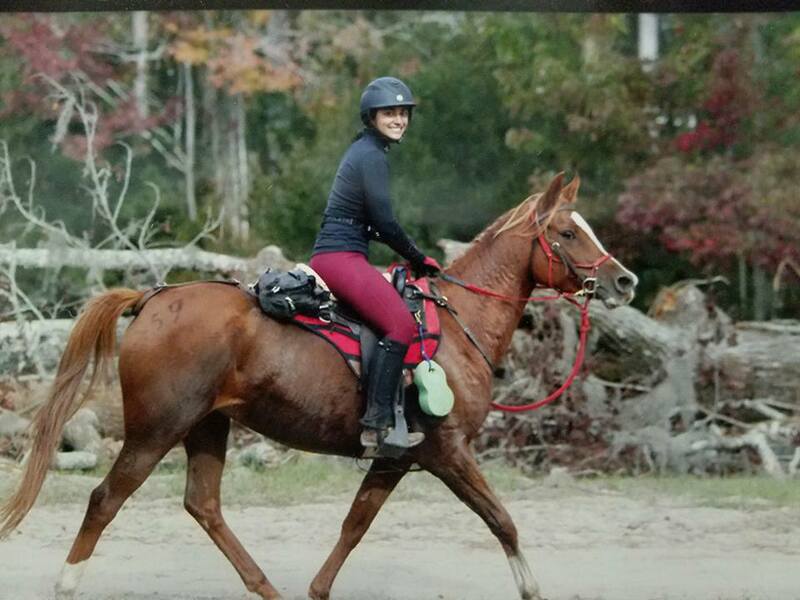 We've ridden through all sorts of weather." What's the most surprising thing about the experience? Arana says they've found a lot more people that share their beliefs than she originally thought. The couple have set up a Facebook page here to follow along on the journey. 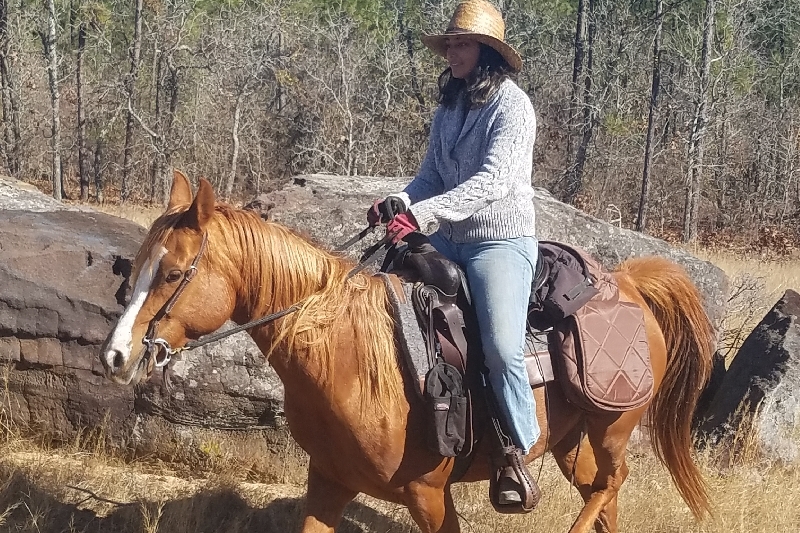 Responses to "Horseback riding to bring awareness for Native American rights"